I, like many Americans, am taking a serious look at my environmental footprint. Unfortunately, picking a “green” cannabis product isn’t as easy as finding a “certified organic” sticker–which isn’t as fun as finding a scratch-n-sniff sticker since the federal government doesn’t recognize cannabis as a legal crop. Flow Kana creates symbiotic relationships with small-scale, local farmers like Emerald Spirit Botanicals, which specializes in producing rare 1:1 cannabis varieties, across NorCal’s Emerald Triangle. No pesticides, additives or other harmful chemicals in their “beyond-organic” pre-packaged flower and pre-rolls. Plus, their farming techniques are environmentally sustainable! The brand provides a model for how all crops can be more sustainably cultivated. In this unbiased review you’ll learn everything you need to know about Flow Kana’s Harmony Rose Balanced CBD 3.6g flower, grown by Emerald Spirit Botanicals. Then you can make your own assessment and decide if this purchasing this strain can help. One thing that might go overlooked is this CBD-dominant flower’s simple yet quality packaging. The eighth of CBD comes in a sealed, amber-tinted glass jar with the logo, strain and brand info etched in gold, protected by a tamper-proof light blue sticker (which is also not a scratch-n-sniff). It’s a welcomed, classy change of packaging pace compared to some of the gaudier plastic jars. Plus, this flower is UV-protected, so your cannabis stays cool and fresh. Outside, there’s the strain name, expected effects (“balanced”), net weight, harvest month/year, package date, farm name, brand name, total THC (246.88mg/6.86%) and CBD (354.42mg, 9.85%), batch ID and government warnings. However, there are no detailed cannabinoid profile or lab test results, which would include terpene levels and other cannabinoids like THCA, CBG and CBN. Inside, I see an insert about the farm that grew this flower –While I’m glad to see it was grown on a certified organic farm, I’d like a bit more information on the cannabis itself rather than the farm. After all, no one went to see a movie called “Farm,” featuring three minutes about a pig named Babe. This bud is perfectly dense, in my opinion. When I squeeze the Harmony Rose between my fingers it bounces back, leaving them slightly sticky. It’s dense enough to hold together under the weight of my fingers but moist enough that it won’t crumble. This texture makes this flower easy to roll up into a joint or pack into a cone. Still, I think the flower could be trimmed better since I noticed some residual leaves and even a few seeds when rolling this up. The Harmony Rose Balanced experience begins with the first whiff of the opened jar. The powerful and pleasant earthy and floral aromas would make any candlemaker or scratch-n-sniff sticker maker envious. The sweetness first hits my nose and carries into the taste as I inhale. This complex flavor moves from sweet to herbal, to earthy, and back again. While the terpenes are very expressive, Flow Kana doesn’t provide info about them so I can only guess. But I’m going to damn well try as I know many of us rely on specific terps to make our strain decisions. Like any CBD-rich strain, I don’t expect a cerebral or intense experience. As the label says, the high is equally balanced, though the CBD:THC ratio isn’t exactly 1:1. After just a few puffs I can feel the muscles in my face begin to relax as the sensation spreads throughout the rest of them. There’s just enough THC to give me a slight mood boost, but not enough to make me feel high or disrupt my productivity. Unlike spending Christmas with my parents, there’s no dramatic onset or noticeable come down. And because it relaxes, the strain eased my back pain after sitting at a desk all day. A few puffs and my lower back felt like new. An eighth/3.6g of Flow Kana Harmony Rose CBD by Emerald Spirit Botanicals costs $40. This is a very reasonable price considering there are plenty of “top shelf” brands selling more expensive, less quality CBD flower. Not a fan of smoking, even CBD? Try Select’s Ringo’s Gift 1:1 vape cartridge for similar effects without the combustion and strong smell. Packaged in a thick, dark amber glass jar to protect flower from UV rays (genius). Gold branding offers an upscale appeal; card tells me about the farmers who grew this strain. No humidity pack to help with future storage. Some info on Emerald Spirit Botanicals and Flow Kana’s mission, but no website or way to reach them. 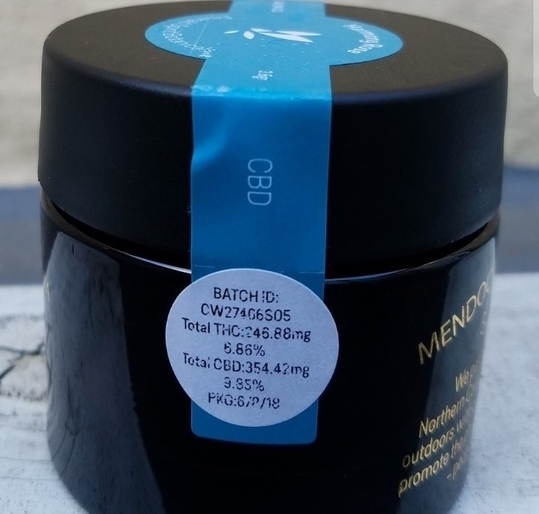 Labeling includes strain name, expected effects, net weight, harvest month/year, package date, farm name, brand name, total THC and CBD content, batch ID, and government warnings. I would like to have seen a full list of detected cannabinoids and a way to check lab results. Sweet, floral aroma as soon as I opened the jar. Herbal, woodsy notes that reminds me of other CBD-rich strains. Flower became even more fragrant after grinding; it smells delicious. Woodsy herbal flavor is apparent when smoking. Hints of floral sweetness are left on my tongue. Moisture level, density, and stickiness were on point. Although the buds were fairly large, on occasion I would find a little premature seed pod (and a few matured seeds after grinding up more flower). Mostly smooth with slight scratchiness to the back of my throat. Soft but not totally white, more of a light gray. A true balanced high that relaxed my body and lifted my mood. Mellow; the daytime strain to take the edge off. High-quality CBD medicine with just enough THC to give you that difference in perspective. 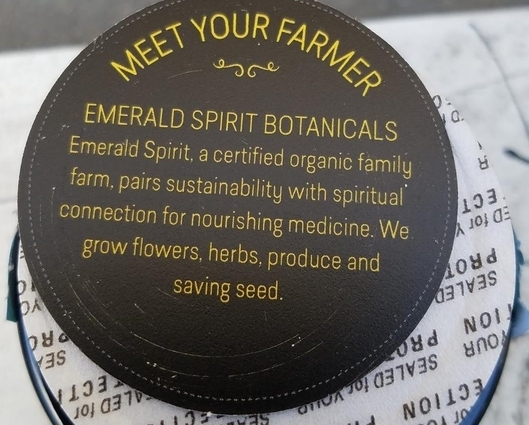 Flow Kana partners with many Northern California farmers like Emerald Spirit Botanicals, so make sure your Harmony Rose is cultivated by them to guarantee the same great medicinal relief each time. Consistency would have gotten a five if it wasn’t for the occasional seed. At $40 per eighth, this is a good price for CBD-rich medicine. Because it’s sun-grown, I expected it to be slightly less, but since this cannabis was perfectly effective, I’ll definitely buy it again. Flow Kana’s Balanced Harmony Rose CBD is incredibly tasty and fragrant, granting a mellow, non-psychoactive high that will relax your body and elevate your mood. If you’re ready to give Flow Kana’s Harmony Rose Balanced CBD 3.6g flower a try, visit the Nugg Marketplace to find out if this strain is available for delivery from your favorite dispensary.